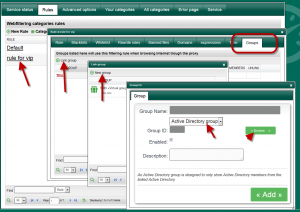 If your Artica server is connected to an Active Directory server, you can define a web filtering rule according a defined Active Directory Group. 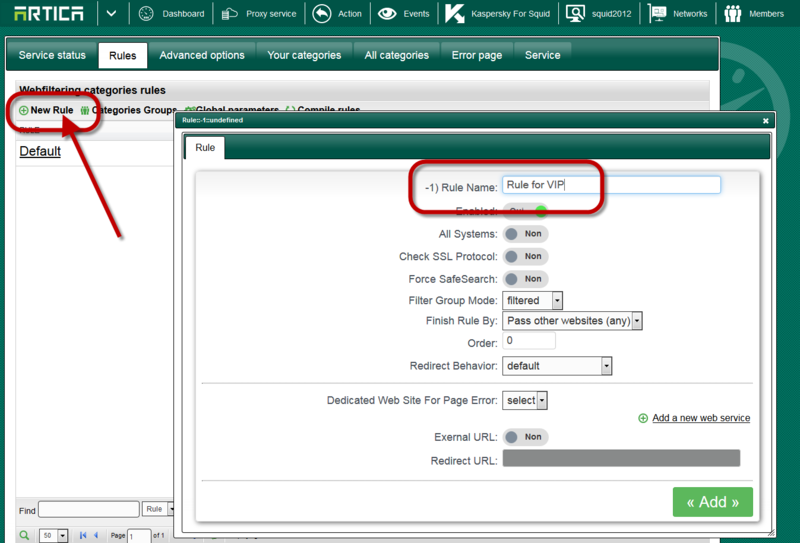 On the Web Filtering Rules section, create a new rule. 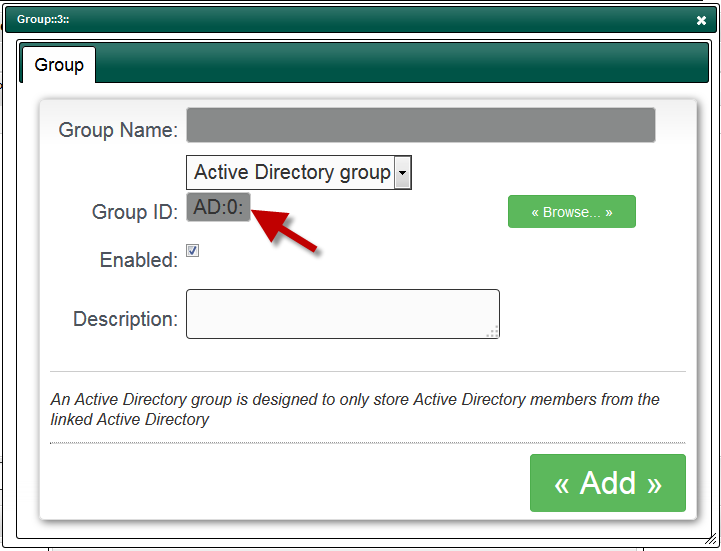 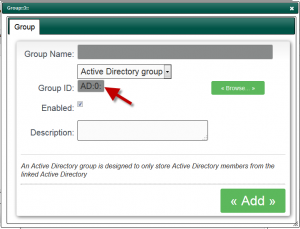 On the left pan, browse your Active Directory and find your desired group. Select the desired group and click on the “Select this group” button on the right pan. 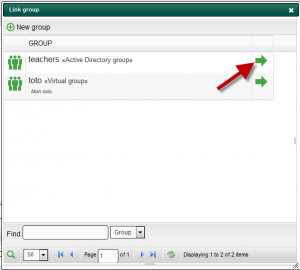 The group is added in the “Available group” section. 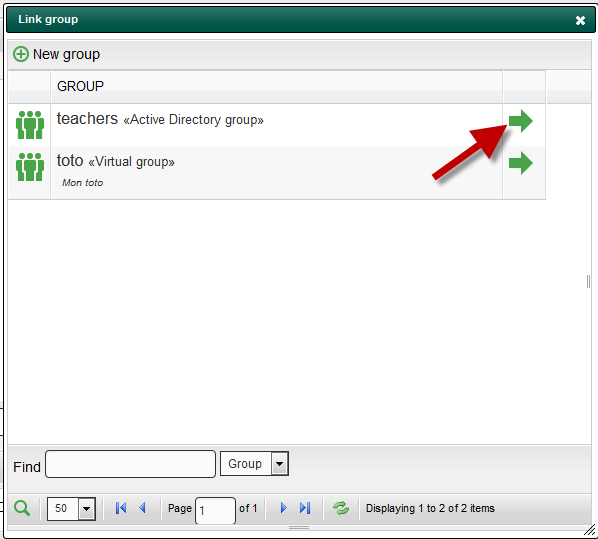 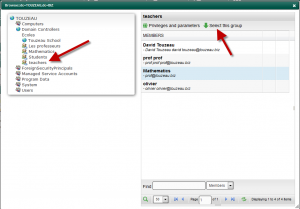 Click on the Green arrow in order to affect group to the rule. 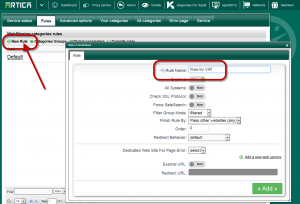 Now the group is affected to your Web Filtering rule. 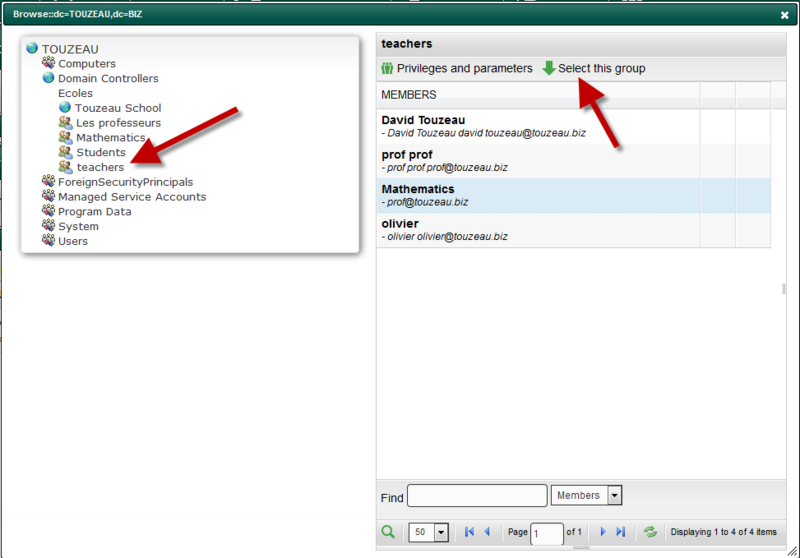 Fill the black and white list for this group.